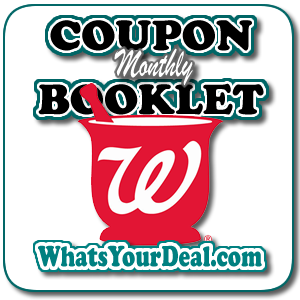 Monthly coupon booklets are available at your local Walgreens store. My store always has them at the front entrance along with weekly circulars. They also keep several behind the counter and hang more through-out the store. These coupon booklets are a SUPER SCORE, but you only need 1 coupon to ring up for multiple items. However, if you are doing separate transactions, I would take 1 coupon per transaction. These Store Coupons are valid 12/3 – 12/30/17.